NOTE: The Following Post Contains MAJOR SPOILERS for X-Men: Apocalypse. Following on the critical acclaim and commercial successful of X-Men: Days of Future Past, Bryan Singer has returned to his mutant hero series for X-Men: Apocalypse - a film that, more than any other entry before it, nods to longtime fans of the X-Men comic books (and animated series). In our review, we suggested that, while Apocalypse is a solid follow-up to Days of Future Past, the film may also be confusing (and outright overwhelming) for viewers who are less familiar with the X-Men franchise (especially the comic series' most famous storylines). Where previous X-Men films have borrowed from established print arcs, Apocalypse includes a number of references, cameos, and ideas that will likely be lost on casual filmgoers. We've already broken down the film's post-credits scene, identified some of the biggest spoilers, and will (soon) publish a post detailing various easter eggs Singer managed to slip in; now, in an effort to ensure all moviegoers understand exactly what occurred in X-Men: Apocalypse and what the movie means for future live-action X-Men installments, we're also breaking down the film's ending - most notably that climactic moment between Jean Grey and Apocalypse. In the final battle of X-Men: Apocalypse, the X-Men arrive in Cairo to rescue Charles Xavier from En Sabah Nur (aka Apocalypse) - who is using Xavier as a means to communicate with (and coerce) mutants around the world. In addition, Apocalypse has commanded Magneto to unleash the full strength of his mutant abilities - which, thanks to an motivational (albeit malevolent) pep talk from the centuries-old mutant, empowers Magneto to transcend the known limits of his control over magnetism, moving the North and South pole, altering Earth's magnetic fields, and causing catastrophic destruction across the globe. In En Sabah Nur's eyes, it's survival of the fittest: wipe away humanity (an inferior race) to build a better world for (evolved) mutants. It's not a new modus operandi for Apocalypse - who, as Agent Moira MacTaggert (Rose Byrne) mentioned earlier in the film, has been linked to several other civilization-ending events throughout history. While MacTaggert doesn't explicitly detail each time Apocalypse intervened in history, it's suggested that whenever the world strayed from En Sabah Nur's vision, or got too complacent, the mega-powerful mutant would shake things up and decimate any opposition. His ultimate goal? Push humanity toward evolutionary perfection. We know from the opening of the film that Apocalypse managed to survive for centuries thanks to his own mutant gifts, including the ability to transfer his consciousness into other mutants (subsequently absorbing their powers). 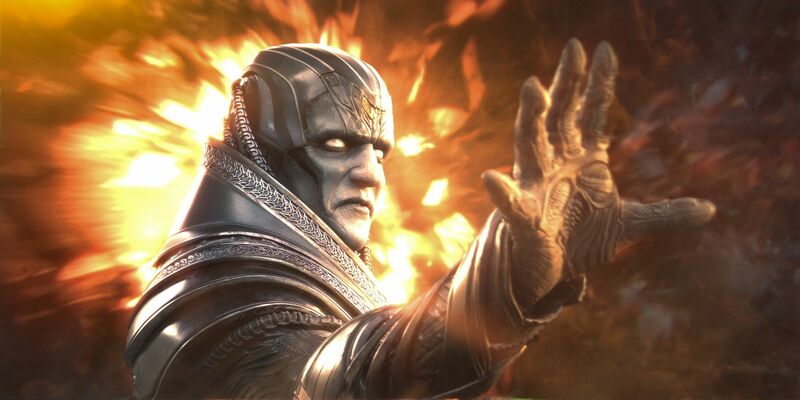 How exactly that this works within the film's fiction isn't made explicitly clear, though Apocalypse appears to power his transference with harnessed solar energy channeled through advanced tech - tech that was, in the original comic books, left behind by an extraterrestrial race known as the Celestials. While the film doesn't spell out the mechanics of En Sabah Nur's transference, throughout the years, Apocalypse was able to collect a robust set of abilities from his former hosts - including Wolverine-like healing (depicted in the film's opening) that allows him to survive mortal wounds and aging. When the X-Men meet En Sabah Nur, he's already telekinetic as well as near-immortal - and, as a result, he hopes to add "telepathy" to his set of powers (by transferring his consciousness into Charles Xavier and subsequently inheriting the Professor's own mutant ability). If Apocalypse had succeeded, he could have rebuilt Earth in his own image - invulnerable and able to bend all beings (human and mutant alike) to his will. Thankfully, he was defeated. Fortunately, the ritual of transference is interrupted by Nightcrawler - who teleports Xavier to safety. As Apocalypse and his Four Horsemen (Magneto, Storm, Psylocke, and Angel) continue to lay waste to the area, Xavier realizes that, thanks to the transference ritual, he's still connected to Apocalypse - Professor X uses that connection to wage a fight within En Sabah Nur's mind. The distraction of having to combat the X-Men on two fronts (in his own head and on the ground) dilutes Apocalypse's ability to completely defeat the heroes in either place. His telepathic battle with Xavier makes Apocalypse more vulnerable to attacks from Cyclops, Mystique, Quicksilver, and Nightcrawler in the external world. Still, while Xavier and the X-Men are able to slow Apocalypse down, they are not strong enough to defeat him altogether - even with the help of former Horsemen, Storm and Magneto, who switch sides (when they realize that En Sabah Nur is more tyrant than a liberator). A coordinated attack on Apocalypse doesn't finish him off - until Xavier calls out to Jean Grey to unleash the full power of her mutant abilities. As hinted at earlier in the film, and for anyone who watched X-Men: The Last Stand, Jean Grey's psychic power is not limited to telekinesis and human/mutant telepathy alone, the strength of Jean Grey, as a telepath, also allows her to transcend the boundary between realities, including life and death. This unique ability makes Jean Grey the host/partner/victim (depending on the story and circumstances) of a powerful primordial force: The Phoenix. It is this connection to the Phoenix Force that turned Jean Grey in The Dark Phoenix (and a ruthless villain) in X-Men: The Last Stand, while also explaining why young Jean Grey scorches the walls of her room and sees visions of the a fiery future in Apocalypse. This early in her life, Jean Grey has yet to fully understand or control her connection to the Phoenix - and, as a result, she struggles to keep her powers in check (one of several reasons why even her mutant classmates fear her and her abilities). However, when the X-Men are unable to defeat Apocalypse - a mutant with limitless power and a near-invulnerable body - only Jean Grey (and the unchecked power of the Phoenix) can destroy the villain. Letting go of her fear and restraint, Jean Grey harnesses power from the Phoenix Force to simultaneously mutilate En Sabah Nur's body and mind - eradicating him from all planes of existence. Even in the face of his own destruction, Apocalypse remains content, muttering "All is revealed" - a knowing nod to Jean Grey's connection with the Phoenix and a fulfillment of En Sabah Nur's quest to push mutant evolution to new levels of power. Together, the X-Men successfully thwart Apocalypse but, now that Jean Grey has opened the door to the mysterious and fiery force, it's unclear (at this point) how long the gifted telepath will be able to keep the Phoenix in check. While the Phoenix Force was useful in taking down Apocalypse, it is still extremely volatile and dangerous - the embodiment of both creation and destruction in the universe, driven to perfect life (through death). That is to say, in most X-Men stories, Jean Grey is eventually consumed by her connection to the Phoenix Force - becoming a vessel (the Dark Phoenix) through which the entity attempts to raze the multiverse. Scenes of Jean and Magneto working together to rebuild Xavier's mansion at the end of Apocalypse suggest that a period of peace and tranquility has arrived. Yet, with X-Men series producers teasing the possibility of a new Dark Phoenix saga on film and Mystique preparing the newly recruited X-Men to battle future threats, there's reason to think it won't be too long before Jean Grey will unleash the Phoenix again - with the possibility that her own friends will be forced to put her (and the Phoenix) down. X-Men: Apocalypse runs 144 minutes and is Rated PG-13 for sequences of violence, action and destruction, brief strong language and some suggestive images. Now playing in regular, 3D, and 3D IMAX theaters.